where sea meets city is not always a pretty sight – docklands, railyards, industry and in the worst cases some nasty effluents too. it’s cause for celebration when local governments get it right and reclaim urban seafronts for the public with a mash-up of recreational, residential and business opportunities. 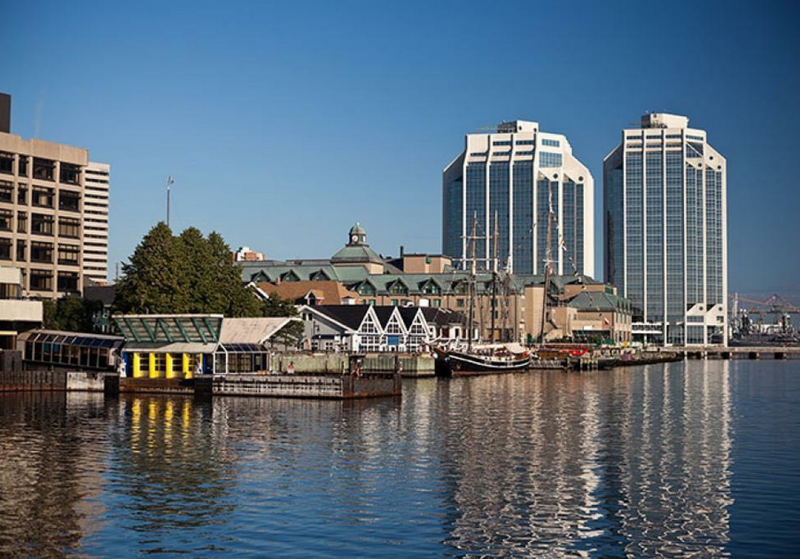 residents and visitors to halifax have plenty to enjoy on a 1.5 kilometre boardwalk skirting the downtown core and the shoreline of the world’s largest, ice-free natural harbour. 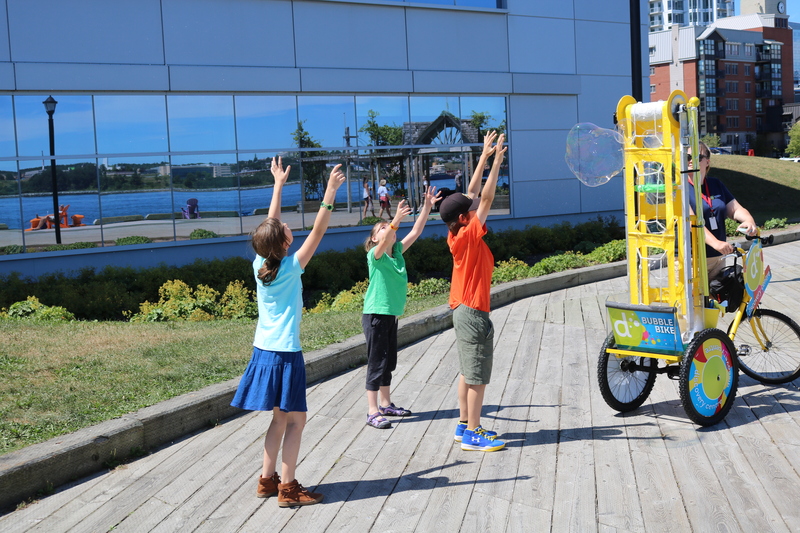 the space is a magnet for special events ranging from tall ships and beach volleyball tourneys to buskers and the night time art extravaganza, nocturne. 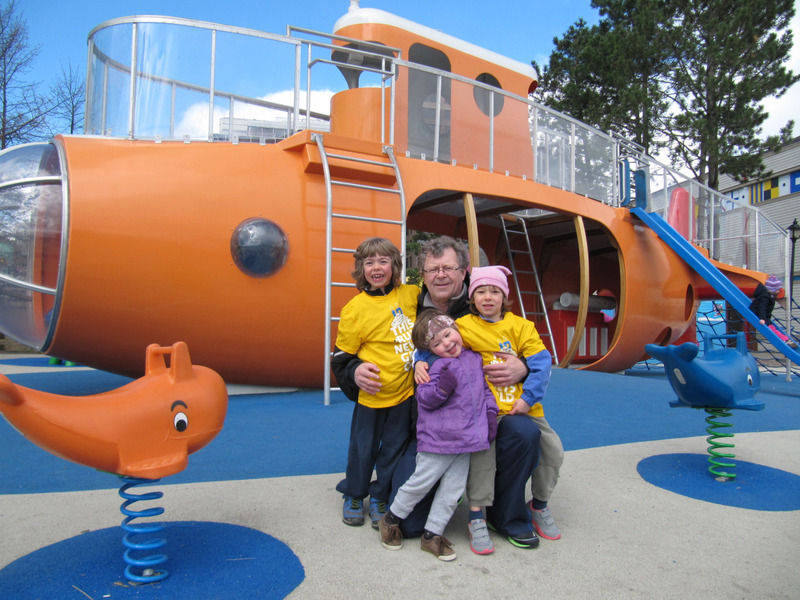 it’s also a place where fun and play abound as the kids showed us this weekend. 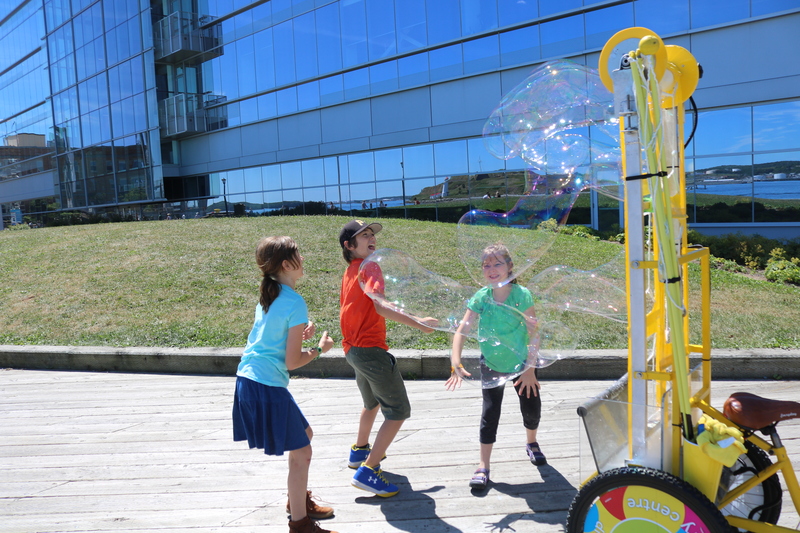 the last thing we expected to come across was a bubble machine. but there it was manufacturing magical bursts of shimmery shapes (click for larger images). 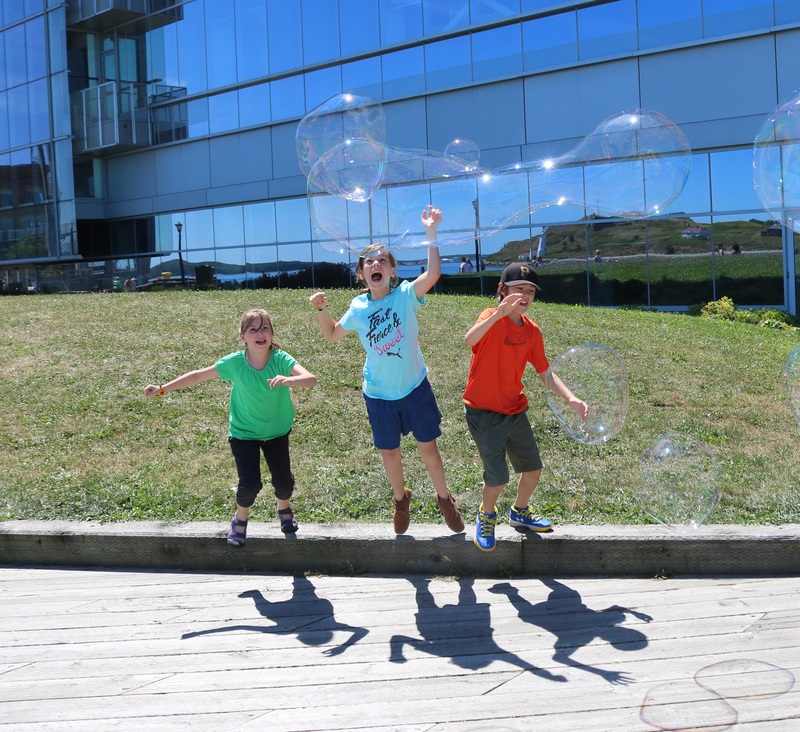 a hop, skip and a jump from the wave is halifax’s own orange sub complete with conning tower, escape slide, a jules verne see through nose and springrider whales flanking its seaward side. 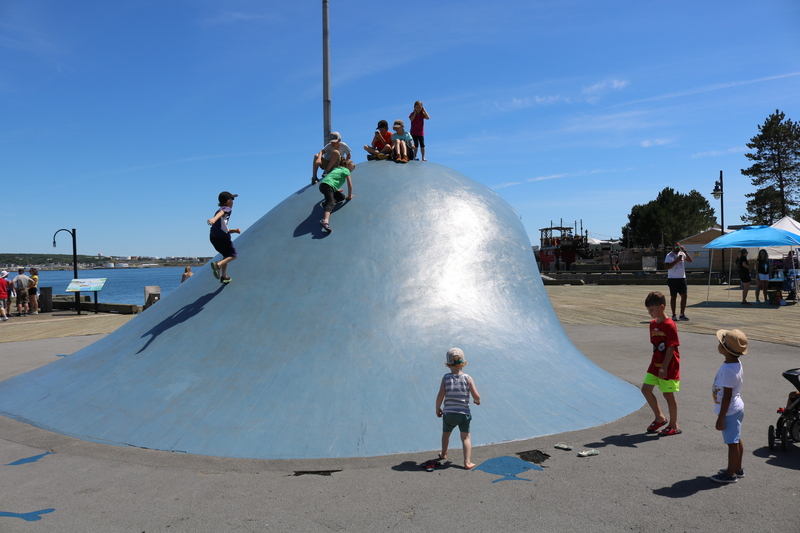 the sub is no longer quite as shiny as it appears in this photo from a few years ago but it continues to be a waterfront favourite with the kids. 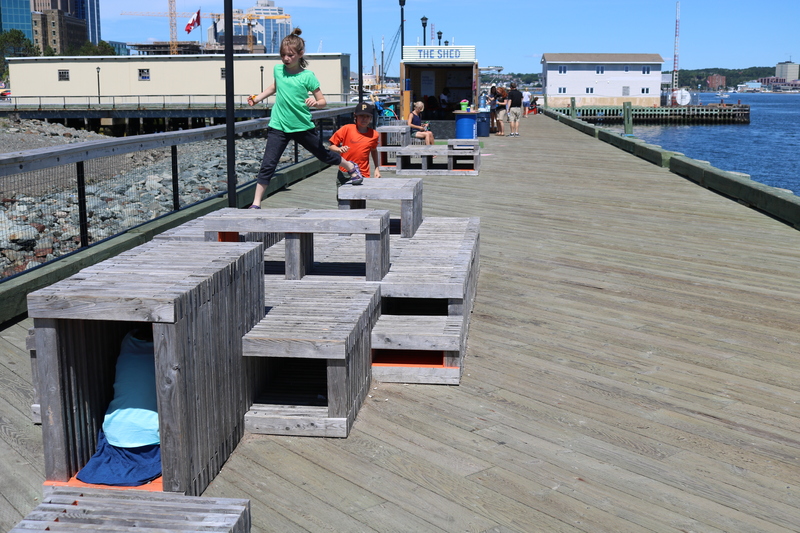 thanks to develop nova scotia as well as the municipal, provincial and federal governments for working together to make the land meets sea zone a kid friendly place with playable spaces. 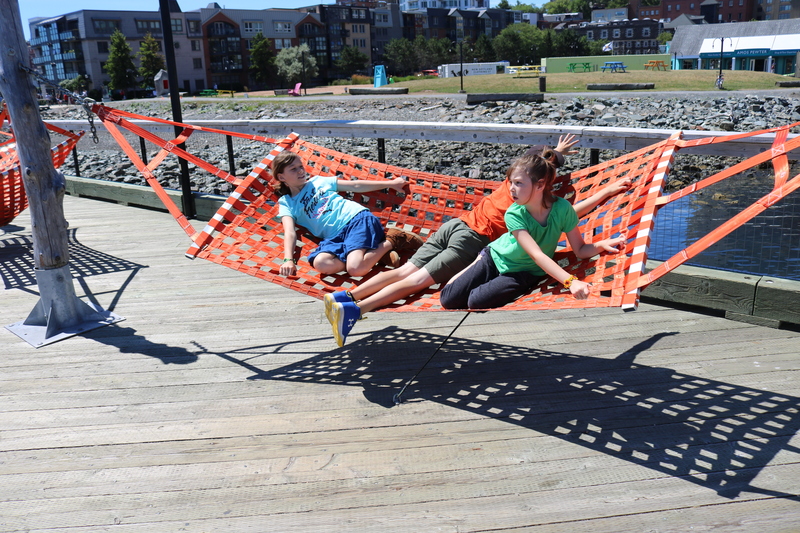 what’s happening on your waterfront? 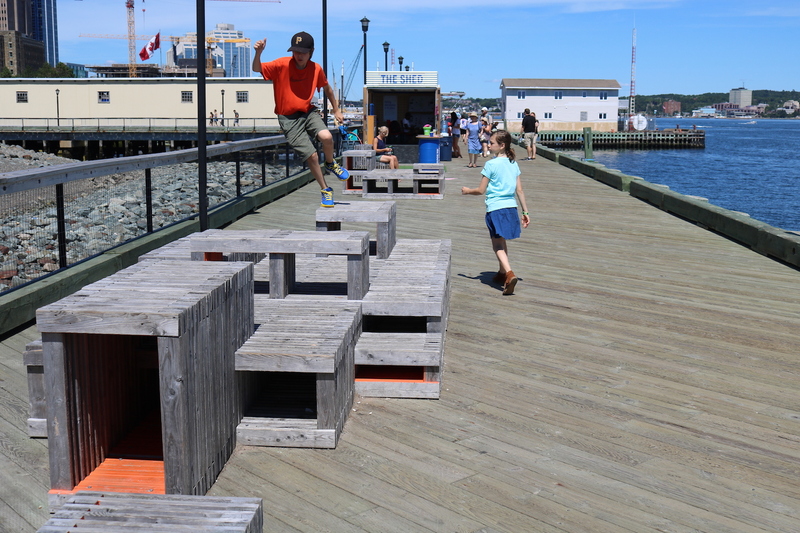 This entry was posted in affordances, boardwalk, Halifax, harbour, waterfront. Bookmark the permalink. I love this. 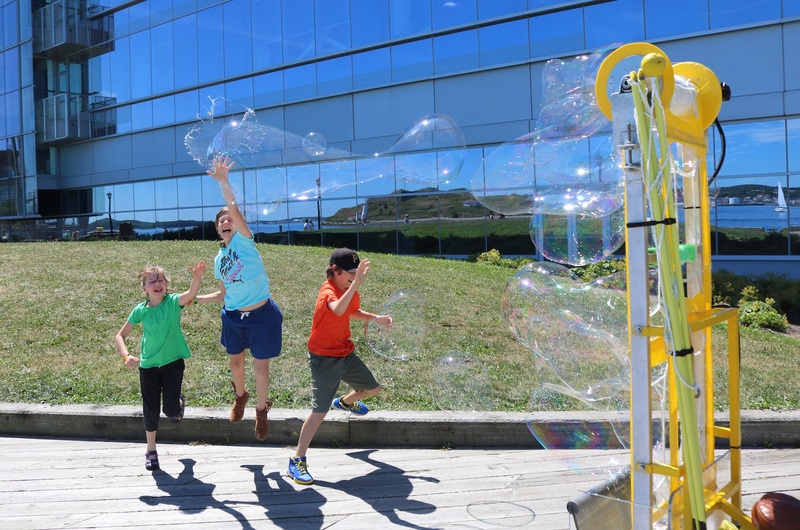 Few simple items provide this much fun for kids, and in such a wonderful setting , too.